FREE holiday event providing underserved communities with hot meals, health services, Santa & toys in San Bernardino, CA. 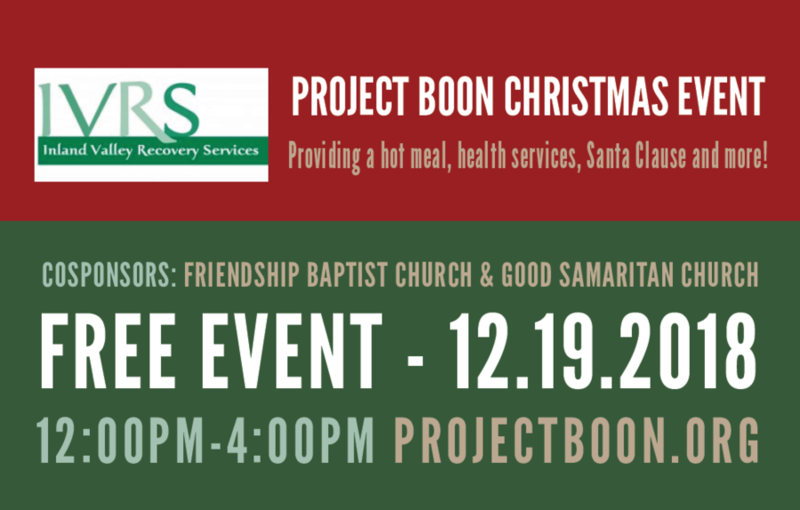 SAN BERNARDINO, CA, December 14, 2018 /24-7PressRelease/ — The holiday season is upon us, and that means that local non-profit Project Boon (www.projectboon.org) is once again teaming up with San Bernardino’s Inland Valley Recovery Services (www.inlandvalleyrecovery.org) to host their third FREE holiday based event of the year. 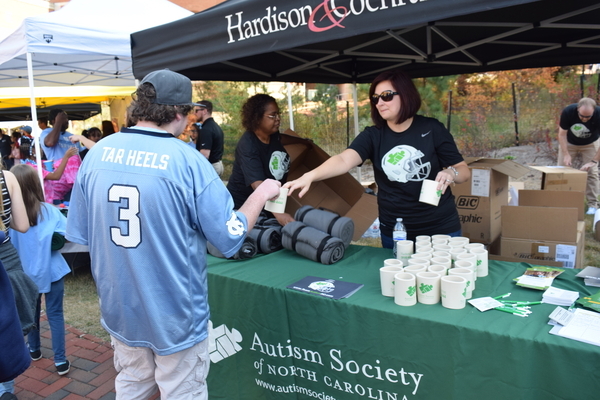 For the third straight year, Project Boon will support the existing event, helping IVRS expand their reach to underserved communities and those in recovery, by hosting holiday meals, health services, Santa and toys!